Pfc. 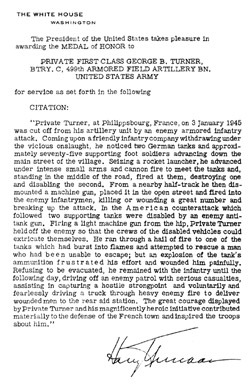 George B. Turner, the 14th Armored Division's only recipient of the Medal of Honor, earned the respect and admiration of his comrades in arms long before he committed the acts that earned him the nation's highest award for heroism. Turner joined the Marine Corps in the First World War, but the war ended before he got overseas to join in the fighting. When the U.S. entered the Second World War, Turner volunteered once again to defend his country. 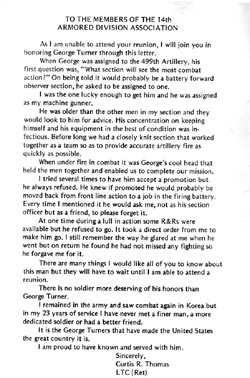 This time he joined the U.S. Army. During training, many of the young soldiers and officers with whom he served came to admire his quiet strength and dedication to duty. 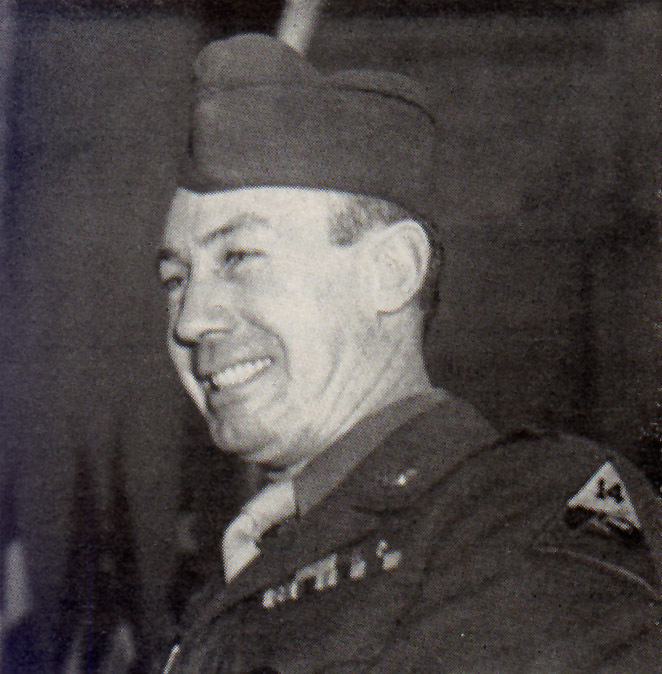 Turner soon gained the reputation of being a good soldier who truly wanted to come to grips with the enemy. He lived up to that reputation, and more. 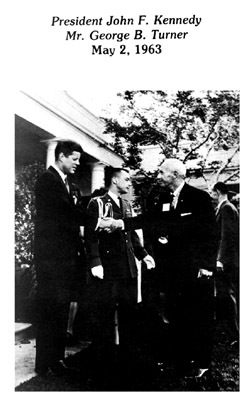 At 46 years of age, he may have been the oldest recipient of the Medal of Honor during the Second World War. Regardless of age, Turner's deeds were, and remain, timeless. 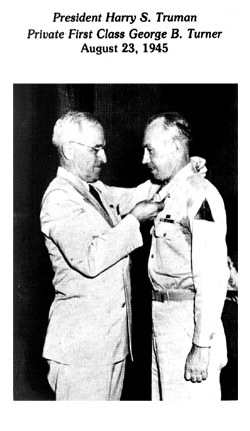 Turner's Medal of Honor Citation signed by President Harry S. Truman. was dedicated to the memory of George B. Turner. 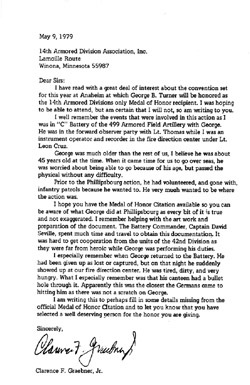 The following letters from his comrades in arms were presented at the reunion. Note: Mr. Graebner misidentified the division. It was the 70th Infantry Division, not the 42nd.